February 1: New sanctuary is consecrated in a service officiated by Colorado Bishop Rob O’Neill. December 16: First service in our new 2,500 square foot sanctuary. June 20, we held our 1st Ai’t Caol Summer Solstice service. Ai’t Caol is Gaelic for a Thin Place which is a Celtic concept of a place where the veil between heaven and earth is very thin. This service is a multi-sensory experience with meditations areas designed around the scriptures and communion is served. April: We celebrated our first Holy Week services and first baptisms on Easter Sunday. March: The congregation reached thirty families, so we can now begin to advertise our services. March 10: The Town of Frederick changed our property zoning to downtown commercial, which will allow us to use the garage as worship space and broadens the possibilities for our future growth. Feb: A parishioner applied to Hidden Valley Ranch and received a grant for $5,000 to begin construction of a community garden. Feb 1: Had our first worship service in our newly renovated 1,000 square foot sanctuary (formerly a detached garage complete with grease pit and overhead engine hoist!). Jan: First Bishop’s committee meeting. Nov: November plate collections from both St. John’s in Boulder and Christ the King in Arvada were donated to St. Brigit’s 2009 operating budget. We are grateful to our brothers and sisters in Christ! 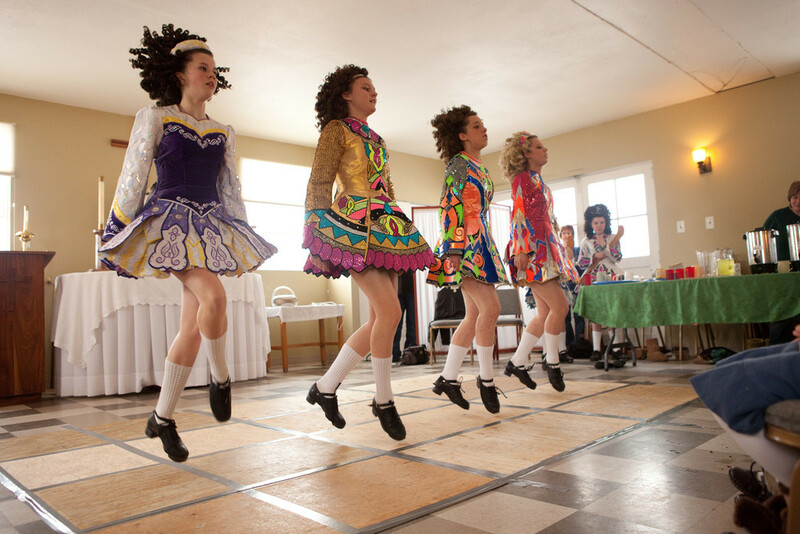 Fall: Pledged $5,000 from St. Mary Magdalene’s 2009 operating budget. Oct: Bishop Robert O’Neill officially gives a name to our Special Congregation. 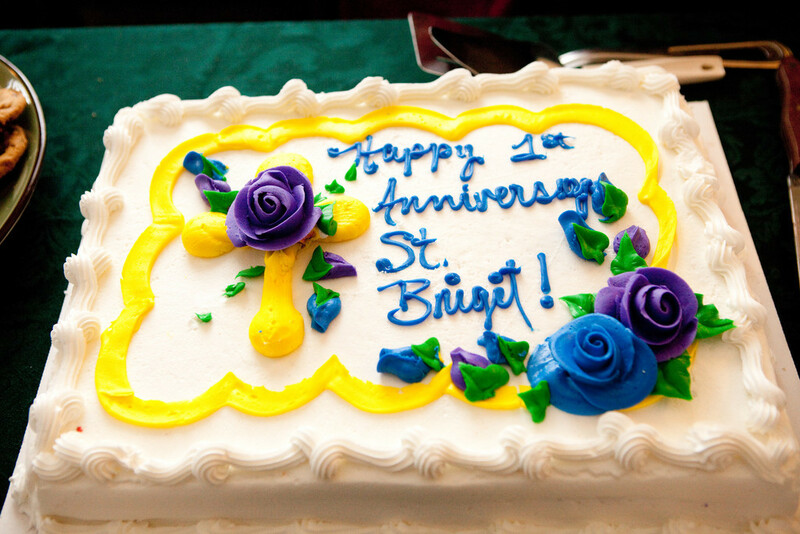 We are now St. Brigit Episcopal Church! Jul: The Episcopal Foundation buys a house at 110 Johnson Street, which is adjacent to the land. The Frederick congregation will be able to gather at this location for nominal rent plus utilities. May: Bishop Rob O’Neill grants $10,000 from his Directionary Funds to the Special Congregation in 2009 and commits to $5,000 in 2010 and $5,000 in 2011. Apr: Now a Special Congregation, we apply for and receive a monetary grant from the Front Range region for several special projects. Mar: Frederick group applies for and is granted “Special Congregation” status by the Standing Committee of the Diocese of Colorado. Jan: Frederick group decides to have worship once per month at Prairie Green Club house. Dec: Small planning group is formed to research and document the Frederick Congregational Development Plan. Nov: Deacon Maureen Beaty is ordained at the Cathedral in Denver. Bishop Rob O’Neill assigns her to the church plant effort in Frederick. Oct: Clergy from SMM and St. Stephen’s begin meeting regularly to discuss the possibility of a church plant in Frederick. Priest Felicia SmithGraybeal chosen as “lead clergy person” to continue the exploration process. Sept: SMM and St. Stephen’s clergy participate in first Episcopal Service on the land purchased in Frederick. 225 people from SMM, St. Stephen’s, and the Tri-Town area were in attendance. Spring: St. Stephen’s in Longmont expresses interest in launching a mission church with SMM in the Tri-Town area. May-Sept: St. Mary Magdalene’s Task Force identified the Tri-Town area as a place where high population growth, a need for community outreach and the need for a liturgical church co-exist. Summer: St. Mary Magdalene rector (Mike Houlik) goes on sabbatical. During Father Mike’s sabbatical several home meetings were conducted regarding the future of St. Mary Magdalene (SMM). One of the possibilities that arose out of these home meetings was how might St. Mary Magdalene lend their support to a church plant in a near by area.